Are investors right to finally be worried about higher interest rates? Analysts are split on whether higher U.S. interest rates could put the stock market's impressive run in jeopardy. One of the big fears that sparked a sell-off in stock markets last week seems to be surfacing again this week. Investors are mulling over what higher borrowing costs would mean for investments after the U.S. Federal Reserve's minutes on Wednesday confirmed that the central bank is, indeed, planning for even higher interest rates. 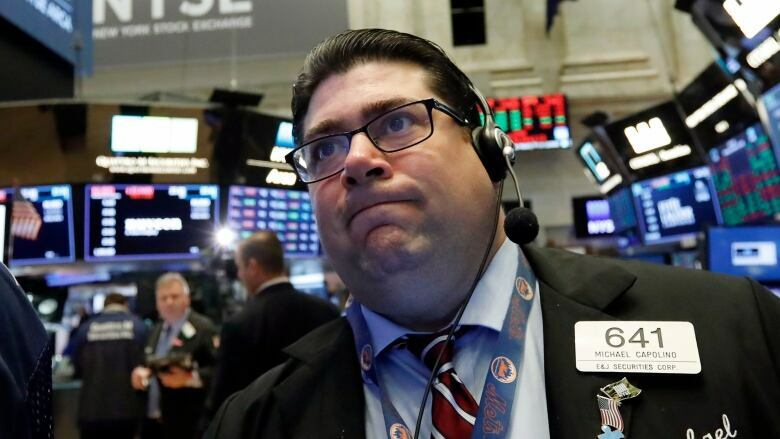 Markets fell across the board on Thursday with the tech-heavy Nasdaq composite leading losses. The benchmark Dow Jones index and S&P/TSX composite in Toronto were not far behind with triple-digit point declines. But, are investors right to be spooked by higher interest rates when a rise has been expected from central banks in the U.S. and Canada for some time now? Analysts are split over whether higher interest rates could put the stock market's impressive run in jeopardy. Some suggest equities are heading for another big tumble because of this. It's been 3,453 days since the last bear market, so is one about to roar? Economists at research firm Capital Economics said investors have reason to "fret" about higher interest rates, and there are already signs that rising borrowing rates are weighing on more sensitive sectors of the U.S. economy. 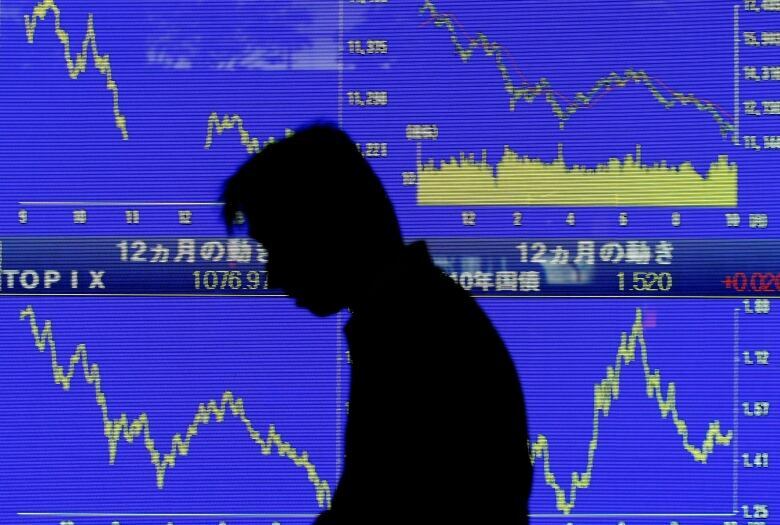 "We think markets are right to be alarmed. Real two-year Treasury yields have already risen by over 200 basis points [two percentage points] over the past few years, matching the increases ahead of each of the past three recessions," the economists said in a note on Thursday. As the U.S. economy's boost from fiscal stimulus measures like the Trump administration's tax cuts starts to fade, Capital Economics expects U.S. growth to slow sharply next year, prompting the Fed to stop raising interest rates sooner than most anticipate. In contrast, analysts at CIBC argued that rising U.S. bond yields on their own don't necessarily point to a looming recession, and markets need to see much more significant declines before central banks put the brakes on rate hikes. "You'd need a very serious and dramatic decline in equity markets for central banks to reassess the current gradual approach to tightening. Most likely in the neighbourhood of a 20 to 30 per cent drop," said Bipan Rai, executive director at CIBC Capital Markets. U.S. stocks hit their lowest level in eight months last week. Rai warns that investors should brace themselves for more volatility ahead as rising interest rates have reduced capital in the markets. "The key difference to note is that we're in an environment where the flow of liquidity is being reduced globally — partially leading to the uptick in rates," Rai said. "That implies that there are fewer marginal dollars to buy into those equity price dips, and that the chance of volatility spikes increases further." Brian Belski, chief investment strategist at BMO Capital Markets, thinks investors should actually welcome, not loathe, higher interest rates, despite conventional thinking. "We found that some of the strongest periods of market performance have coincided with rising interest rates over the past few decades," Belski said in a note. "Despite overall market trends, certain stocks do better than others when interest rates rise." He thinks investors should take advantage of a higher interest rate environment by focusing on companies that have low leverage and strong cash flow. Meanwhile, some strategists say current nervousness in the markets isn't just about interest rates, because they are still low by historical standards. Sadiq Adatia, chief investment officer at Sun Life Global Investments, said investors are worried about the bull market in the U.S. ending. Ten years of a bull market is "a long time in people's minds, and they do not see further catalysts to drive markets higher," Adatia said. "During the year, we have earnings that were good, tax cuts ... and a strong global economy." "There is some worry about what drives the market higher going forward given that earnings have been great, and it would be hard to beat them going forward," he added. In August, the biggest U.S. stock index — the S&P 500 — hit a new record for the longest bull market in history. It went 3,453 days without dropping 20 per cent or more. Overall, analysts also agree that higher yields were making bonds more attractive for investors as they buckled in for the market ride ahead.